In addition to renovating the current facilities, the investment is intended to boost production of ARM-based chips used in smartphones and tablets, according to Reuters. Samsung is believed to be the sole supplier of Apple's custom processors found in the iPhone, iPad, iPod touch and Apple TV. The South Korean electronics maker already announced in June that it plans to build a new logic chip plant in its home country to better serve customers like Apple. That project is projected to cost 2.25 trillion won, or $1.98 billion. Samsung's U.S.-based ARM chip production was highlighted just last month within an AppleInsider-authored report —Made in America: Apple's supply chain increasing US production —that offered a closer look at how the iPhone maker's component suppliers have been increasing American production of electronic parts. IHS iSuppli estimates that Samsung Semiconductor's ARM processors account for 12.4 percent of the bill of materials for Apple's iPhone 4S. Apple Chief Executive Tim Cook also highlighted Samsung's Austin plant at the D10 conference in May, when he was asked about the possibility of Apple building its products in America. The CEO said although many parts for Apple's products are built in the U.S., there is an "intense focus" on final assembly, and that he'd like for that assembly to take place in America if it were feasible. Though Apple relies heavily on Samsung for custom processors and other parts in its popular devices, there have been persistent rumors that the iPhone maker hopes to move away from its dependence on Samsung. In particular, last year Apple was said to have signed a foundry agreement with Taiwan Semiconductor Manufacturing Company to produce ARM chips for devices like the iPhone and iPad. 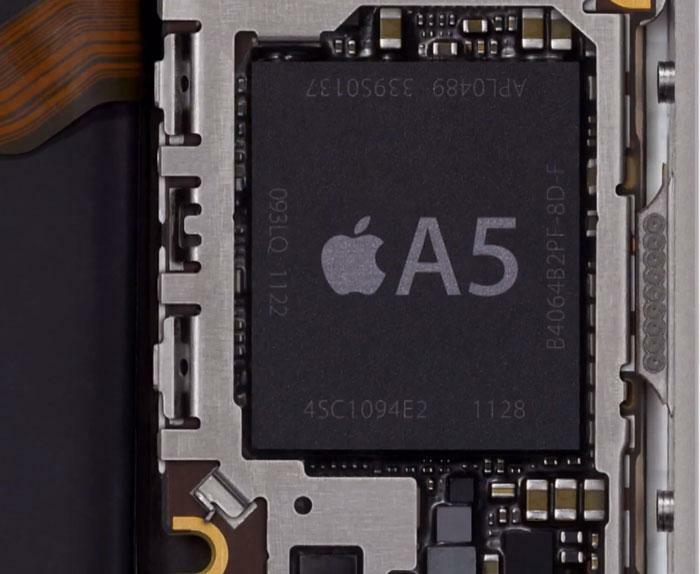 While some reports suggested that TSMC could begin building custom ARM chips for Apple as soon as this year, so far there has been no indication that anyone other than Samsung has received orders for the A5 chip found in the iPhone 4S or the A5X processor that powers the new third-generation iPad.